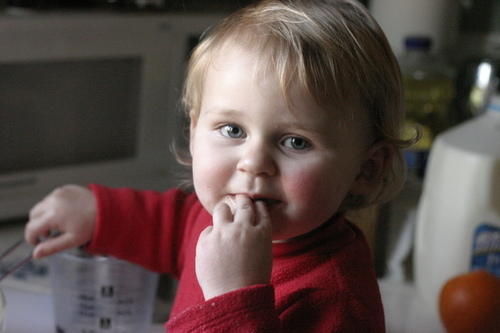 Bake them in a preheated 350* oven for about 15-minutes or until the meat is cooked through. When you take it out, it may have separated some, but that's okay - you can work around it. Chop the burger into squares that will fit on your rolls (should get about 10). Cut your rolls in half and place burger on roll. Stick in a baggie (or wrap in foil) and freeze individually. Repeat this process 3x and you have a hamburger for every day of the month. Perfect, cheap, lunch. For sack lunches, snag one and you have a DELICIOUS main course that will thaw and be ready for microwaving/eating by lunch time! (Hubby just sticks his in the dash to cook in the sun, but I do not know the food safety of this, so I would recommend reheating a more traditional way, lol. Also be sure to pack with an ice pack.) You can of course add toppings like you would on any hamburger. My favorite is lettuce, a bit of onion, a slice of fresh tomato, some mozarella (melted on the hot patty), and crisp pickles. YUM! My kids love them too! Its cold season and that means its also chicken soup season! 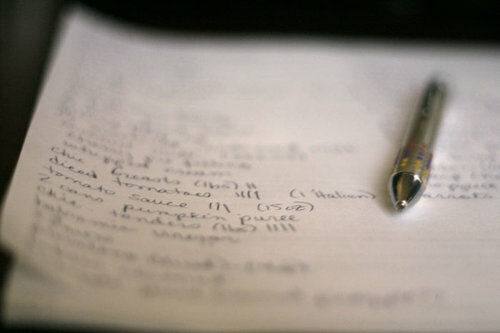 For many of us with the current state of the economy it also means its time to budget and pinch our pennies. This recipe will show you how to make a mouth-watering bowl of chicken noodle soup that will give you at least 10 servings for about $3.50 (that's about 35-cents a serving!). The first thing I'm going to talk about however, is saving your vegetable scraps! This is so important. Anytime you make a salad, or use fresh veggies for ANY recipe, save the bits and pieces you would normally throw away - like celery root, carrot tops, tomato tops (the part that attaches to the vine), peelings, etc. Save them in a baggie in the freezer, and then you have a perfect base for your soups!! ~Fill a pot with vegetable scraps and water. Boil about 15-20 minutes or until you have a nice broth. Gently scoop out vegetable pieces and toss, reserving broth in the pot. ~In broth, add spices to taste. ~Put chicken thighs in the water and boil about 15-20 minutes or until cooked through. Remove chicken to a cutting board, reserving broth in pot. ~Put potato cubes in the broth, and boil until soft - about 15 min. ~After potatoes have been cooked, add in noodles, carrots and green beans. Cook an additional 10 minutes or so, until noodles are done. ~taste and reseason if needed. *NOTE: You may need to add water throughout the cooking process. This will not overly-dilute the taste, but will add volume to your soup, so don't be afraid to add more water! This can be served up with some delicious garlic bread or a side salad as well! 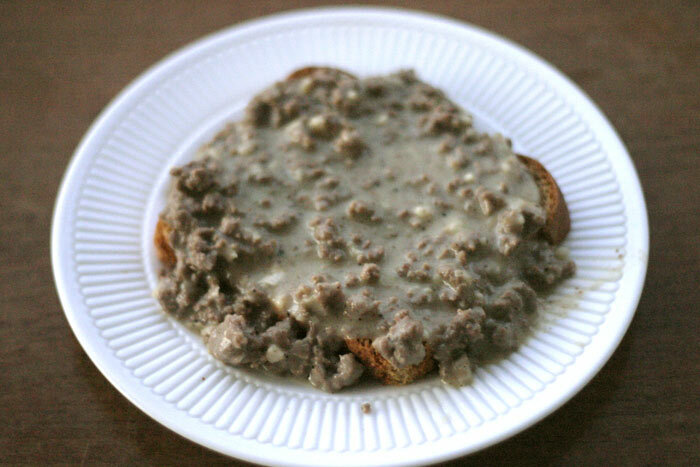 My grandmother loves to eat this with cheese toast. Yum! We are still getting ready for school to start in a few weeks, and still preparing for the possibility of a move soon, packing unnecessary things away, and getting the house ready to sell. In the moments between the hustle and bustle I find some peace when I sit down at the sewing machine, focusing only on the movement of the fabric beneath my fingers, working the math for measurements, and seeing a creation come to life. This particular shirt used to be a sheet that I picked up at the thrift store with this exact shirt in mind. I absolutely loved the print, and was so happy to see that it translated even more beautifully in reality than it did in my imagination. Full credit goes to the awesome fabric and to the incredible tutorial over at Just Tutes as well. I simply left the elastic out of the sleeves and added a button in the front from the stash to give it the slightly different look. Have you been creating anything lately? I seem to be full of tutes lately! :) Hope you all enjoy this one as well. As you know, I'm making a lot of clothes for the kids. This is a shirt I made for Abbi for summertime wear, but it could easily be adapted for school wear by putting a cute coordinating tee shirt under it. 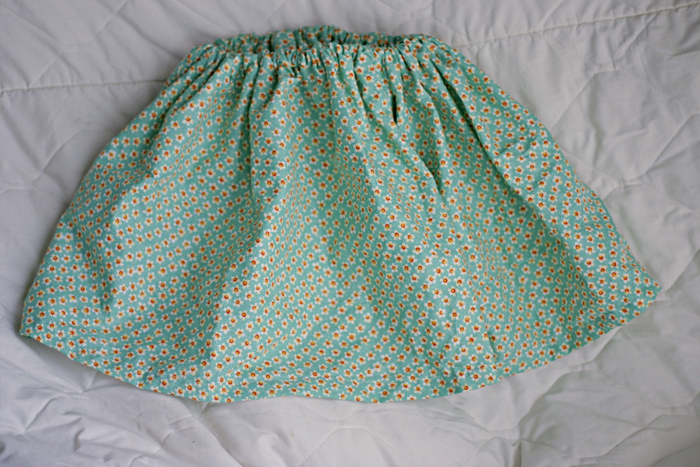 There is also a skirt that I made using this same process, but with wider strips. You may recognize the fabric from another outfit I made a couple of weeks ago. This will be added to the school clothes stash. Hello friends! Its been much too long. Things have been incredibly busy since Kevin has been on TDY to Ft. Knox. We have been busy decluttering the house in preparation for the move, which has been such an encouraging thing for me. I love looking around and feeling less burdened by the clutter, disorganization and an overwhelming amount of stuff. Don't get me wrong, I can clutter-bug along with the best of them, but it is really refreshing to feel like things are where they should be and its less that I have to worry about. *whew*. A big part of getting everything ready for the busy upcoming months, as well as decluttering the stash, has been sewing up clothes in preparation for the girls to start school in the fall. Those of you who know me, know that I much prefer an open-ended tutorial to a rigid pattern, so that is generally what I work from. I find that they allow me a lot more freedom in interpreting things to my own design, and I feel less like I can fail at it, as well, since the instructions are usually pretty open and fluid. This top for Anna was made using the peasant shirt tutorial over at Just Tutes. I altered it a bit by not adding elastic to the sleeve. I figured that while things were still warm out it would give a little more ventilation, especially in this humid climate. To go with the shirt I sewed a ruffled skirt to match, from the tutorial over at Grand Revival Design. I LOVE this tutorial. 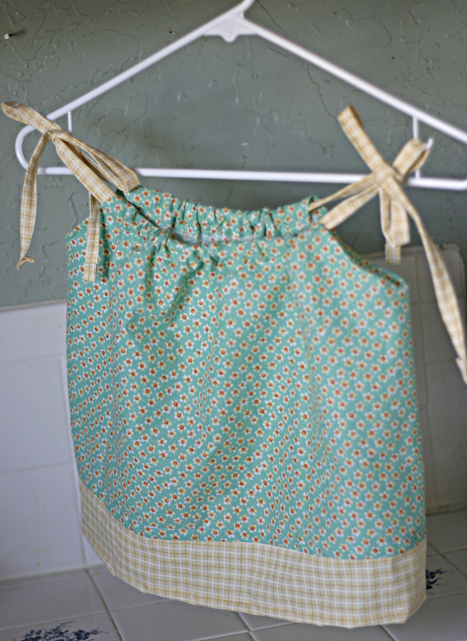 I will be making a lot more of these in different girly fabrics soon. This was my tester, and I used leftover scraps from the march quilt kit to make it. Because I sold some kits using this fabric, the proceeds more than paid for the fabric so I'm considering the materials for this outfit "free." Abbi's outfit started with the same peasant blouse tutorial, only I added the elastic to the sleeves this time. It worked well with this particular fabric (an old, white sheet that I found at a thrift store for 75-cents!). Total cost of the valence outfit? $1.74. This outfit was made using a Women's size L tunic that I bought at the thrift store for 75-cents. It fits about a 4T little girl (isn't she cute??). The pants were made using sleeves. Here's my tutorial for sleeve pants, as I did them. The shirt was done without a pattern or tutorial as well. I will be working on a tute for that coming soon, using the body of the shirt for the fabric, so keep your eyes out! I also have two other tutorials in the works for clothes I made for Abbi recently, so those will be coming over the next couple days as well. My hope is that others can feel inspired to make some clothes for the fall, and to not feel overwhelmed by the increasing prices of clothing for our kids, as school starts! All of the outfits that you see in this post cost a total of $2.49. One needn't break the bank to dress their children well. Enjoy, and be sure to let me know if you use the sleeve pants tutorial ! I'd love to see what you do with it! 2. 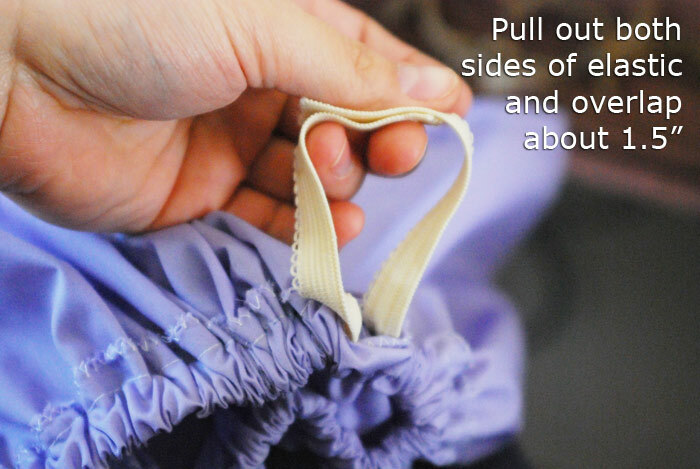 Measure your child’s inseam (this would be from the top front of the diaper or undies, through the legs and around to the top back of the diaper or undies on your child). Take this number of inches and divide it by two. Then add 2” to that number. 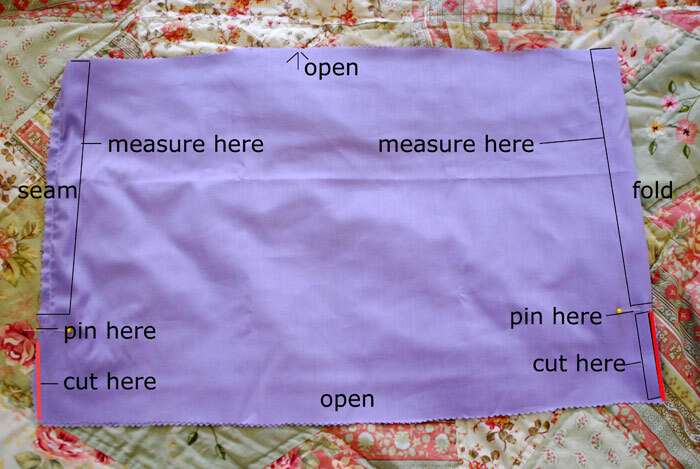 With your fabric laid out flat, using the number of inches that you got from the inseam calculation, measure from the top of your “tube” down on either side edge. So if you measured 12” at your final calculation you will measure 12” down and mark this with a pin. 3. With your inseam marked on either side, you will need to cut a short bit from the bottom of your tube on the sides, in a line up to the pin. Do this along the outer edges/seams. This will determine the crotch/leg areas. Once you have this part finished, its on to the sewing machine! 4. 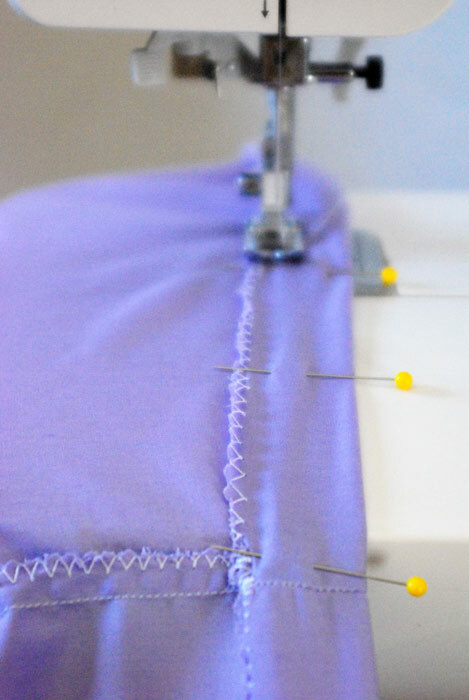 If you have a serger, it would be a good time to go around and serge all of the cut edges so that they don’t fray. If you don’t have a serger, zig-zag stitch the cut edges. I do have a serger, but for this project am showing it with the zig-zag stitch. 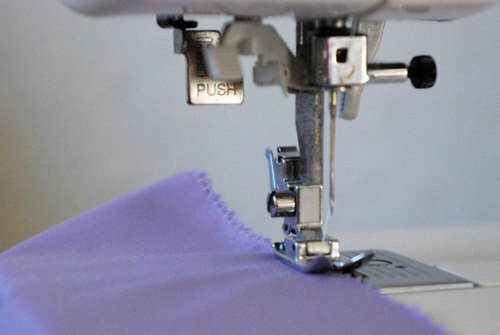 If you prefer, you can iron over a ¼” hem and sew that over all of the raw edges. I just prefer this method, as it is faster and usually leaves me with a little more fabric. 5. Pin the cut bits together that you cut in step 3. In this step you will be sewing the front & back of the legs together, and giving the bloomers a “crotch” area so to speak. 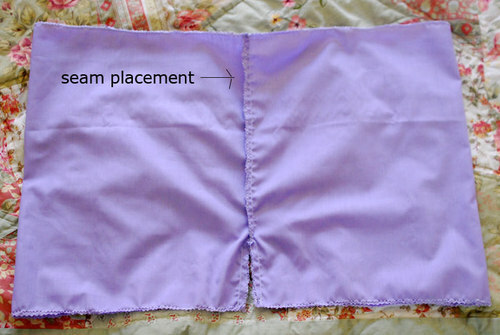 Please note that you want to make sure that the seam from the pillowcase is on the *outside* at this point. This will help your seams to all be on the same side of the garment. When you are finished with sewing this area, it will look like a large pair of shorts. 6. Pin down the top of the “shorts” about 1”. Sew about ¼ inch from the edge of the fabric, giving you about ¾” pocket. Make sure that you leave a 1” opening for the elastic to work through because This will be the sleeve that your elastic will go in later. 7. Repeat this with each of the legs as well, making sure to leave an opening for the elastic to come through. 8. Measure your child’s waist (near or just below the belly button, all the way around the waist. Cut a piece of ½” wide elastic the same size. 9. Measure around your child’s thigh (just below the crotch area, and around the entire thigh. 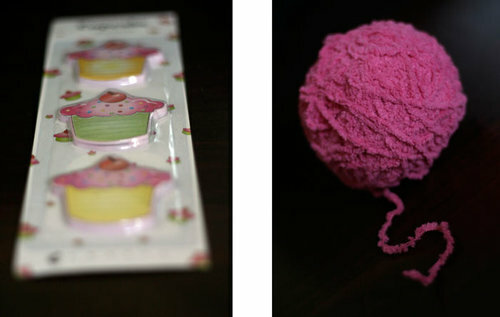 Cut 2 pieces of ½” wide elastic the same size. 10. 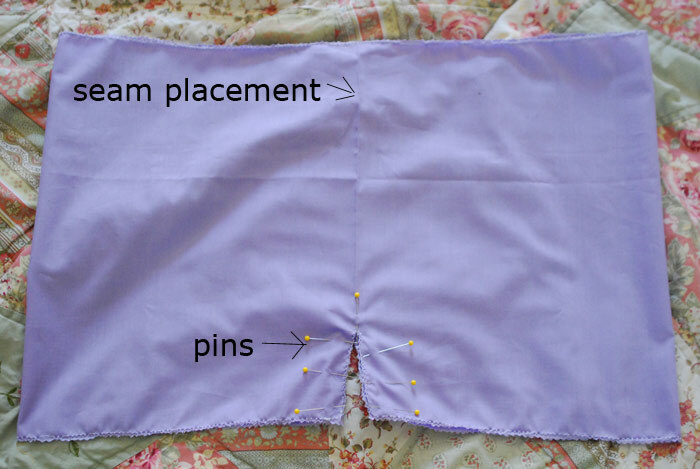 Next you need to feed the elastic through the opening at the waist, and to do this, you will want to clip a safety pin onto one end of the elastic to feed through the sleeve. 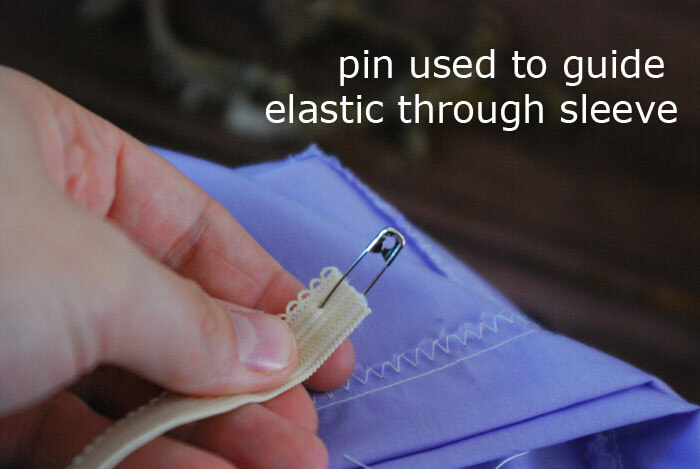 Then clip a second safety pin onto the other end of the elastic, and pin it to the fabric just above the opening for your elastic to go through. This will help your elastic’s “tail” not to get lost inside the tube. You will need to have both ends once you feed it through. To feed the elastic through the band, push the first safety pin through the opening, scrunching the fabric down over the pin as you go. With your left hand, hold the tip of the pin. With your right, gently pull the fabric so that some of the elastic feeds through the sleeve. Continue this all the way through the sleeve until it comes out the other side, making sure it doesn’t twist. 11. Once the elastic is fed through, pull both ends taught so that you have several inches of elastic on either side. Once again, make sure that you don’t twist the fabric in this process. 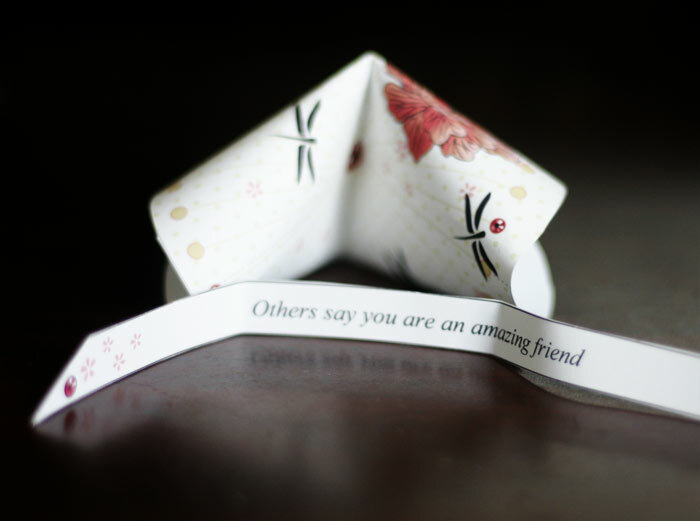 Place the elastic pieces on top of one another about 1” overlapping. 12. Zig-zag stitch in 3 different places over the overlapped elastic. 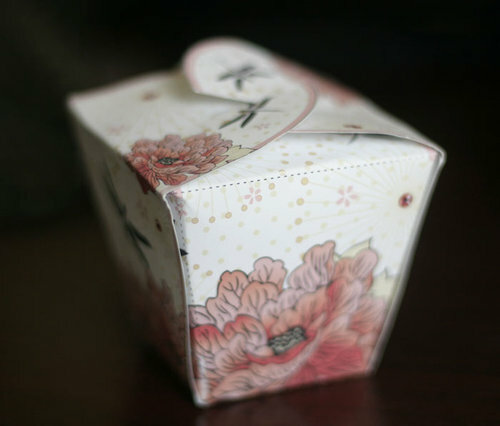 This helps to secure it very strongly so that it remains sturdy and elastic without separating. 13. 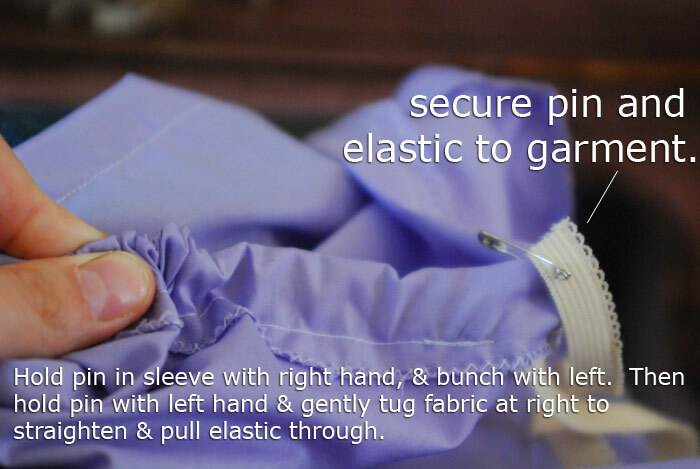 To re-insert the elastic into the sleeve, gently tug on the waist, until all of the elastic is in the sleeve. 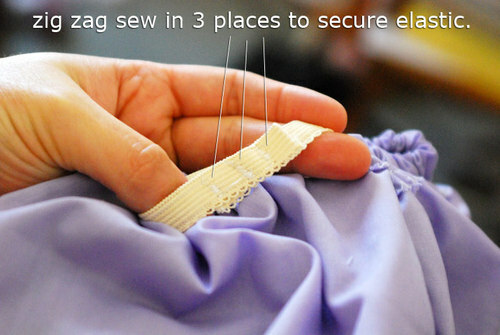 Adjust the bunched up fabric until it is fairly even throughout. 14. 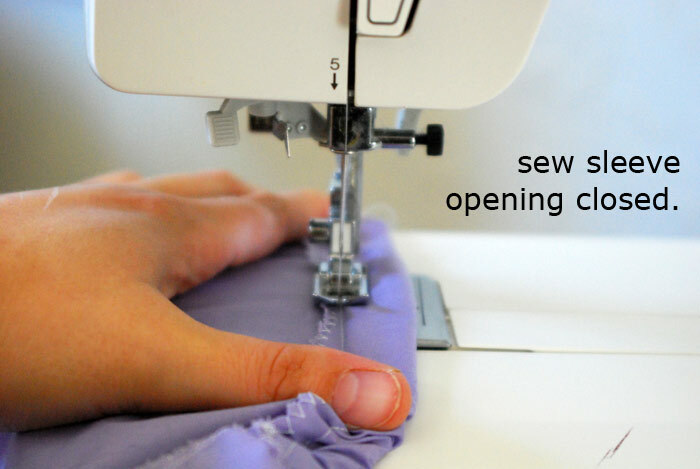 Using your sewing machine, stitch closed the little opening you used to insert your elastic. 14. 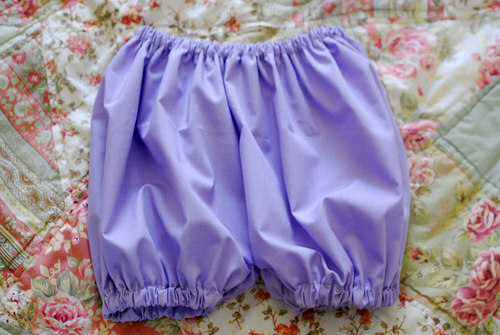 Flip inside out, and enjoy your new bloomers! **editing to add** - Lisa asked in the comments of THIS POST if I make all of the girls' clothes. The answer is that I have not made all of them in the past, though I did always have something handmade in their wardrobe. This year I have a goal of making all of their summer clothing, along with a few select thrifted items (jeans especially). I figure I only have a couple of years left where I can dress them however I like, so I'm going to enjoy it while I can, and hopefully it will help them to love handmade clothing too (which is of course not to say that new clothing isn't fun and super-cute - this is just something I personally really enjoy). A certain two year old is getting mighty grown up, and I am loving every minute of it. She is so girly and so so sweet. I could just nibble those little toesies but I won't. 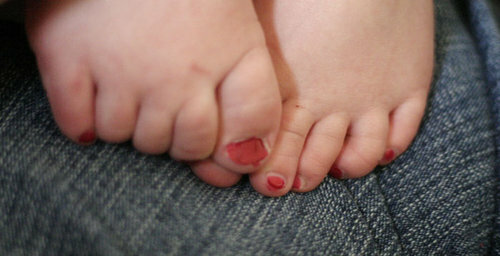 She absolutely adores getting her toes painted. Her daddy usually does it for her, but she insisted I do it today, and well.... who am I to argue with cute toes like that staring me in the face? She wiggles her toes when she gets them painted, so they're all sorts of silly, but I think that's just part of the awesome fun-ness of being two and having pink painted piggies. Right after we finished her mini pedicure, the mailman brought me some amazing goodness! My dear, dear friend Robyn sent me some awesome birthday presents - a Priority flat rate box stuffed full! Here are just a FEW of the goodies she put in there for me! In other news, I sat down tonight and made out the grocery list for all of the recipes from the Recipe Contest! As I was on my way out the door to go shopping I realized that I didn't have my wallet in my purse. We looked *EVERYWHERE*. I mean ev-e-ry-where. Not one stone left unturned. I had to call and cancel my cards and will be ordering a new license and all of that soon. :( Poo. That said, I will have to wait to go shopping until this weekend when hubby can go with me and use his card. I'll start making the recipes then. I'm so so sorry for the delay - I am craving them. Big time. 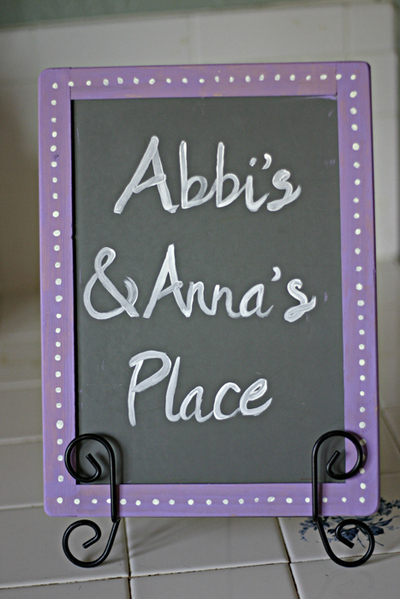 Over at the Sommer Designs blog, she has posted a 5 night Dinner Challenge! I’m going to take her up on it starting Friday night! I’ll be sure to post photos and recipes here. Are you up for the challenge? If so, post here, and be sure to link us up (and on Sommer’s blog too!) when you do post your dinners! Photos are optional! Yum! 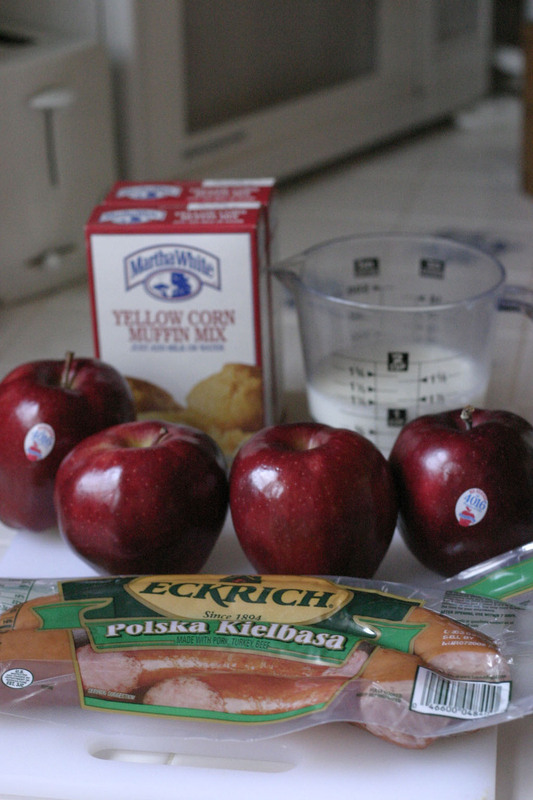 Once you have your apples peeled, you'll want to slice them into thin slices. Put them in a pot that has been drizzled with olive oil, over medium heat on the stovetop. Cook for 10 minutes, stirring occassionally. 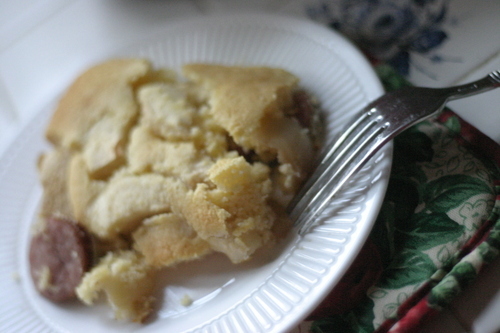 While your apples are simmering, slice your sausage into 1/4 inch slices, and preheat your oven to 400*F.
Once your apples are done, you'll want to pour them (and their juices) in a 9x13" baking pan. Add in the sausage and distribute evenly throughout the pan. 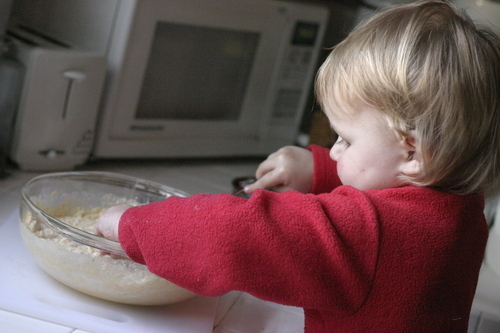 Pour the cornbread mixture over top, gently spreading around with a spatula or back of a spoon. Place entire thing in the oven, and cook for 20 minutes (or until top is lightly golden) at 400*F.
Now... to make the potpourri! 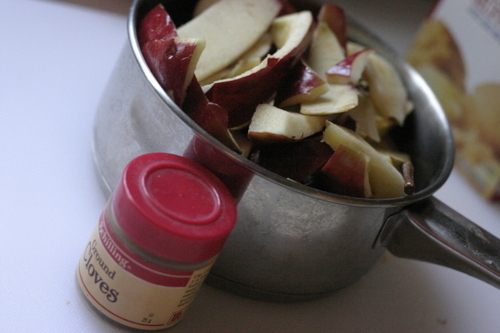 Use your apple peels and cores (dont worry about seeds, etc, its all fine). Put them all into a pan, sprinkle with cloves (crushed or whole are both fine), and about 1/2 cup water. Put on simmer, and enjoy!